In this inspirational collection of stories Swami Rama relates his experiences with the great teachers who guided his life, including Tagore, Mahatma Gandhi, Sri Aurobindo, and Ramana Maharshi. 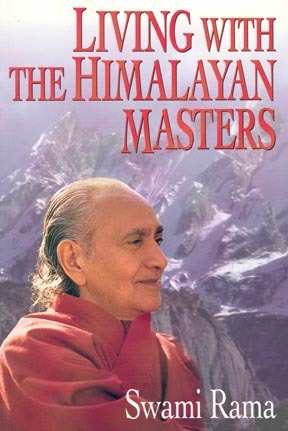 Living with the Himalayan Masters documents Swami Rama's spiritual quest, which showed him that direct experience is the source of real knowledge. "I will tell you how I grew up and how I was trained, abouat the great sages with whom I lived and what they taught me, not through lectures and books but through experiences," writes Sri Swami Rama in the opening pages of this timeless saga. These stories record his personal quest for truth and enlightenment. Inspiring, illuminating, entertaining, mystifying, and frequently droll and humorous, they bring you face-to-face with some great Himalayan Masters including Mataji of Assam - a ninety-six year old lady sage who never slept; Gudari Baba, who taught Swami Rama the value of direct experience; Yogi Sri Aurobindo, who integrated meditation with action; Uria Baba, who teaches that every human being has the potential for healing; Mahatma Gandhi, the Father of the Nation.